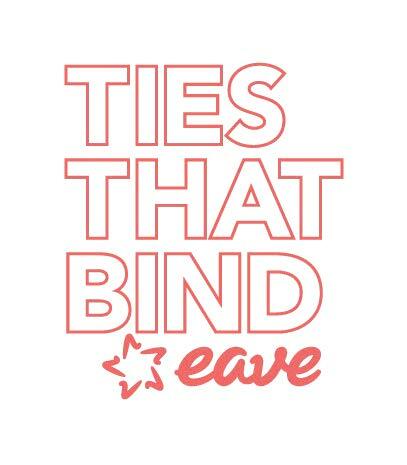 Singapore welcomes TIES THAT BIND for the fourth time! TIES THAT BIND turns 10 this year and returns to Singapore for the forth time. TTB is the reference for developing European-Asian co-productions, with many award winning films such as THE SEEN AND UNSEEN by Kamila Andini, Grand Prize of the Generation 14plus International Jury at Berlinale 2018, to mention only one of our recent success stories. During the second TTB workshop in Singapore (December 3 – 7), the participants will continue to develop and package their projects under the guidance of the TTB Head of Studies Christophe Bruncher (Ici et Là Productions, FR), script consultant Clare Downs (UK), and 2 group leaders Bianca Balbuena (Epicmedia Productions, PH) and Jonas Weydemann (Weydemann Bros., DE). For the first time Alex Jia (Beijing WD Pictures, CN) will advise on scripts from the Asian perspective. Nicolas Brigaud-Robert (Playtime, FR) will elaborate on the international market for independent films. Jean-Baptiste Babin (Backup Media Group & Millimages, FR) and Patrick Mao Huang (Flash Forward Entertainment, TW) will give detailed advice on the project finance plans. Jean-Baptiste Babin will also hold a session on legal aspects of co-production. Furthermore, TTB & EAVE graduate Fran Borgia (Akanga Film Asia, SG) will give a case study on 3 countries co-production A LAND IMAGINED by YEO Siew Hua together with EAVE graduates Denis Vaslin (Volya Films, NL) and Jean-Laurent Csindis (Films de Force Majeure, FR). The film was co-produced by mm2 Entertainment (SG). Visit Films is handling international sales. A LAND IMAGINED won Golden Leopard at the Locarno IFF, Golden Star at El Gouna FF, Roberto Rossellini Awards Jury Prize at the Pingyao IFF and TFL Audience Design Fund Award of the TorinoFilmLab. Thanks to the partnership with the Southeast Asian Audio-Visual Association (SAAVA), the second workshop of TTB 2018 will be held during the Southeast Asian Film Financing (SAFF) Forum, where the selected TTB projects will be presented together with 15 other selected projects from Southeast Asia to leading decision makers from Asia and Europe. This year the following decision makers will attend SAFF in Singapore: Najwa Abu Bakar (Astro Shaw, MY), Gin Kai Chan (Silver Media Group, SG), Justin Deimen (Aurora Media Holdings, SG), Mary Liza Diño (Film Development Council of the Philippines – FDCP, PH), Keiko Funato (Alpha Violet, FR), Georges Goldenstern (Cinéfondation, FR), Lee V. Ho (CN), Mike Hostench (Sitges International Fantastic Film Festival of Catalonia, ES), Michael Lim (Singapore Media Festival, SG), Mandy Marahimin (Tanakhir Films, ID), Jessel Monteverde (Ursa Entertainment, PH), Abhi Rastogi (108 Media, SG), Nicolas Rebeschini (Charades, FR), Mikhail Red (Media East Productions, PH), Malou N. Santos (Star Creatives, PH), Jeremy Sim (Aurora Global Media Capital, SG), Nandita Solomon (Apparat, MY), Marie-Pierre Vallé (Wild Bunch, FR), Li Zhu (Juben Pictures, CN), among others. The participants will also participate at the SAFF Conference on December 7, a one-day event bridging the gap between investors and producers, educating audiences on the creative and business sides of film financing. Top speakers from Asia and Europe will address the main topics around coproduction and financing between Europe and Asia. TIES THAT BIND is organised by the Friuli Venezia Giulia Audiovisual Fund, EAVE, Udine Far East Film Festival and Southeast Asian Audio-Visual Association (SAAVA), and supported by the Creative Europe - MEDIA sub-programme of the European Union, Silver Media Group and Aurora Media Holdings. Page published 3 December 2018. Updated 18 December 2018.